Premise- A team of two contestants enter the 26-room Memory Maze in an attempt to answer questions correctly and memorize an extensive list of answers appropriately named “The Exit List”, as well as the exact route in which they have traveled from start to finish. Twenty-one of the rooms contained cash values ranging from £1,000 to £5,000, and one room contains £100,000. If a team enters one of the cash rooms, they will have 30 seconds to answer a multiple choice question, which has four possible answers. If the team answers the question correctly, their correct answer goes on the Exit List, they will win the money from that room, and the room ahead will be opened for them. If the team answers the question incorrectly, all four answers from the question go on the Exit List, the team doesn’t win any money, and the room ahead will be blocked off. The other five rooms in the Memory Maze are Panic Rooms. If a team steps into a Panic Room, the team will have to 30 seconds to memorize and recall ten images. At the end of the 30 seconds, for each image that the team failed to identify correctly, the first letter of the name of the image will be a part of the Panic Room code, and the code will be added to The Exit List. If a team is “blocked in” the maze during the game, in order to advance to another room, they will have to abandon everything they have won up to that point and start over with nothing. In order for the team to keep their winnings, one teammate will be selected and will have to retrace their exact route as well as memorize and recall all of the answers that make up The Exit List. The time limit to recall the Exit List will be determined by the number of rooms the team entered. The contestant will earn 10 seconds for every room the team entered (6 rooms= 60 seconds). The other teammate will be secretly offered a guaranteed cash offer by the Memory Maze in lieu of the possible money the team could win. If the contestant in the maze successfully recalls the route and the Exit List without their teammate accepting the cash offer, the team gets to keep their winnings. However, if the contestant fails to recall the route and the Exit List before their time expires and their teammate rejected the cash offer, the team will lose their winnings and will win nothing. 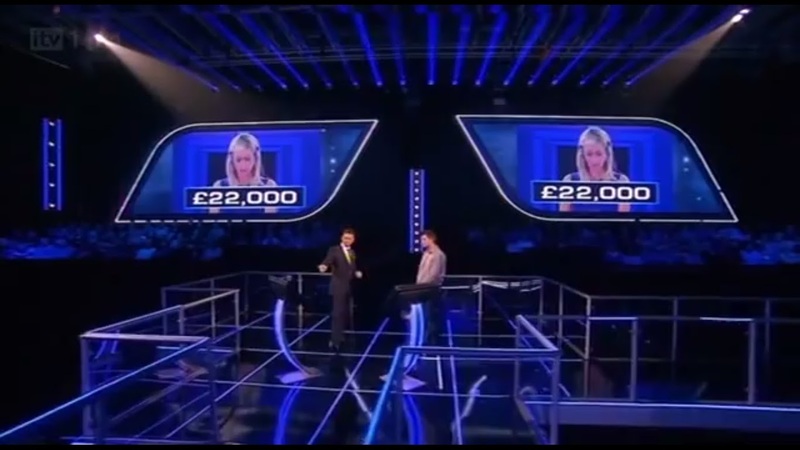 The U.K. has done it again with the creation of another great game show. ITV1 replacing High Stakes with The Exit List is one of the smartest moves the network has made recently. 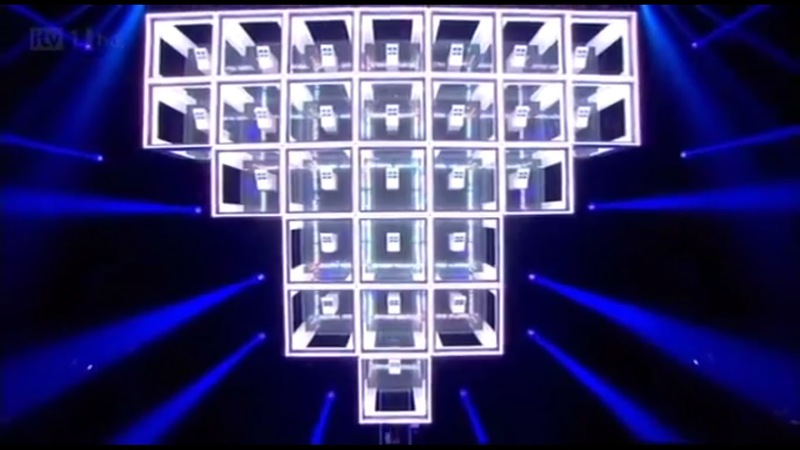 The Exit List is one of the most challenging and exciting game shows I have ever seen today. Every episode so far is unpredictable, exciting to watch and play along, and you don’t quite know what’s going to happen next. This game show has it all: speed, strategy, suspense, intuition, luck, knowledge, high stakes, high risk, a great host, a sense of adventure, and an incredibly awesome set. This show will put your memory to the ultimate test and I like the Deal or No Deal twist added on toward the end of the each episode, where the Memory Maze secretly offers one contestant a guaranteed cash offer in lieu of the team’s potential winnings from their excursion within the maze. On a quick side note, The Exit List is the second most challenging game show where contestants have to memorize an extensive list, coming second to WB’s Studio 7. The only change that I would make to the show is the dollar values in the rooms in rows four through six. To make the show more interesting, I would make the dollar values vary between £4,000 up to £20,000 in those rows, while keeping the £100,000 room in play. Overall, The Exit List is a terrific game show with a great top prize and fun, challenging, and exciting gameplay. In fact, ABC ordered a pilot of The Exit List last summer and I hope the network goes through with the project. I hope to see more of The Exit List in the future. If you haven’t watched the show yet, I would strongly advise you to check it out. Trust me, you will not be disappointed. For all the U.K. viewers, watch The Exit List Tuesdays Nights at 8:00pm on ITV1! For everyone else, check out episodes of The Exit List on YouTube!